As regular readers of this website will know I very occasionally featured brand new action figure releases if they are of particular interest to vintage collectors. With my tickets for the first screening in Rome, Italy of JJ Abrams' Star Wars reboot The Force Awakens already purchased for tomorrow, I thought I'd join in with the global buzz with a closer look at this astoundingly good 12 inch figure of everybody's favourite droid C-3PO. 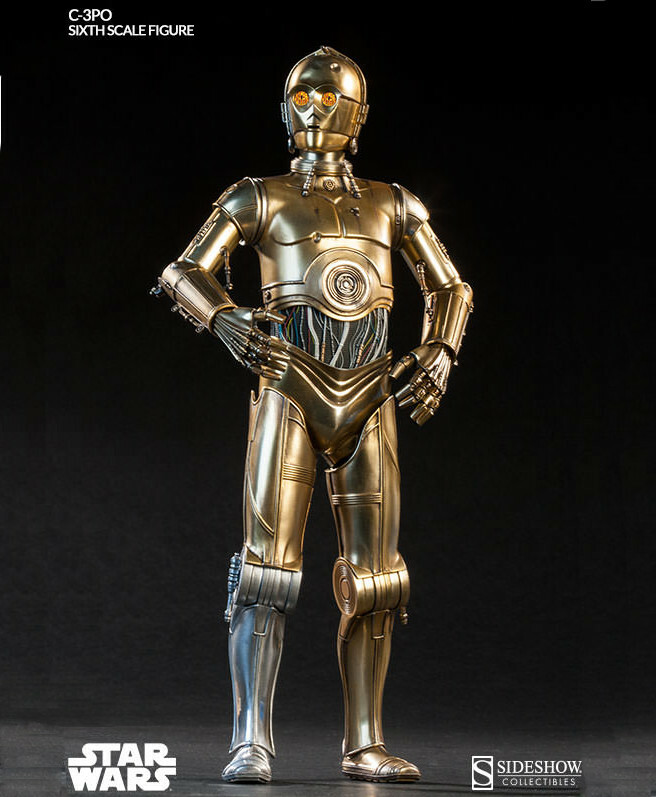 This release is another masterpiece by the undisputed masters of the movie-likeness Sideshow Collectibles and represents C-3PO as he appeared in the first movie in the original trilogy Star Wars: Episode IV A New Hope. The attention to detail is simply stunning with desert weathering, and dents on his face and chest, and even an exclusive damaged shoulder part. 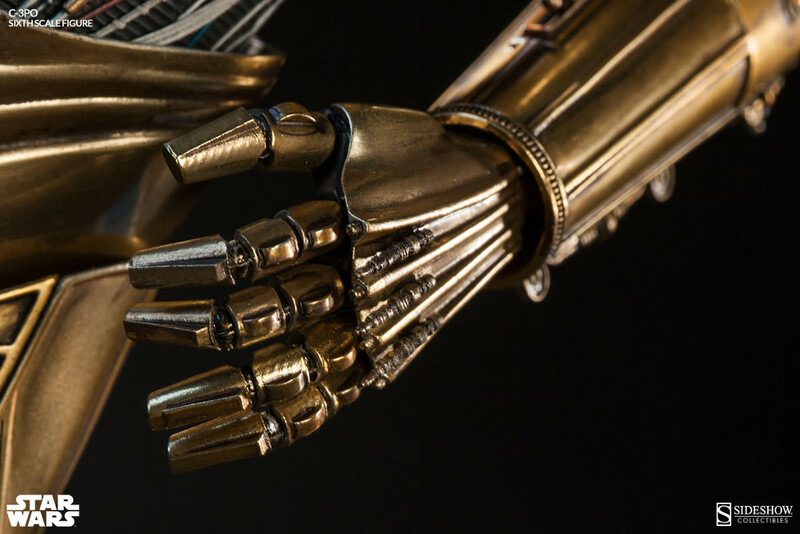 Built with spot on mechanical details and light up eyes, Threepio also boasts advanced articulation, with over 40 points of articulation in this unique body sculpt – there are two points on every digit, for example – as well as other quirky details such as an attachable magnetic restraining bolt. He's a must have addition to any modern Star Wars action figure collection. 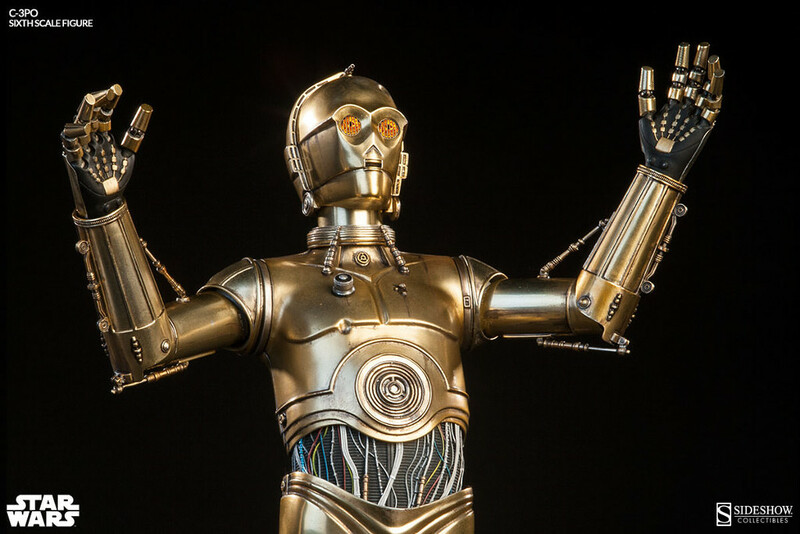 Click here to order the C-3PO Sixth Scale Figure by Sideshow Collectibles TODAY!